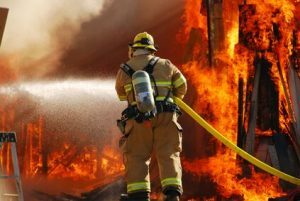 Experiencing a fire in your home or business can be devastating, and we understand that this can be a difficult time for you. Our team of trained technicians will respond to emergencies immediately to assess the most effective process for restoration and we keep you informed along every step of the way. Our team has years of experience in restoring homes after disasters, and we help families and business owners return to normal. With fire damage, it is important to work quickly to reduce additional damages and losses, and our goal is to restore your property as quickly and efficiently as possible, while still delivering the quality craftsmanship and customer service you have come to expect from Clean Masters. Damages resulting from a fire will continue to accumulate as time passes, and a prompt response is essential for reducing your losses. Our team is available 24/7 and will get to work immediately securing your property and mitigating additional damages. Our qualified, trained technicians will assess the most effective process for restoration and we keep you informed along every step of the way. When you contact your insurance company before contacting a reliable cleaning and restoration company you may suffer from negative consequences that you may not be aware of. Most insurance companies have a list of contractors that they work with on a regular basis. The relationship your insurance company forms with these 3rd party contractors often leads to the contractors having the insurance companies’ best interests in mind, and not yours. Fortunately, you do have the right to choose which cleaning and restoration company you want to use. That means you can choose to work with a reliable company like Clean Masters who have your best interests in mind, and your insurance company can’t fight you on it. Contact Clean Masters for all of your fire damage needs! Call us today at 843-821-1317.